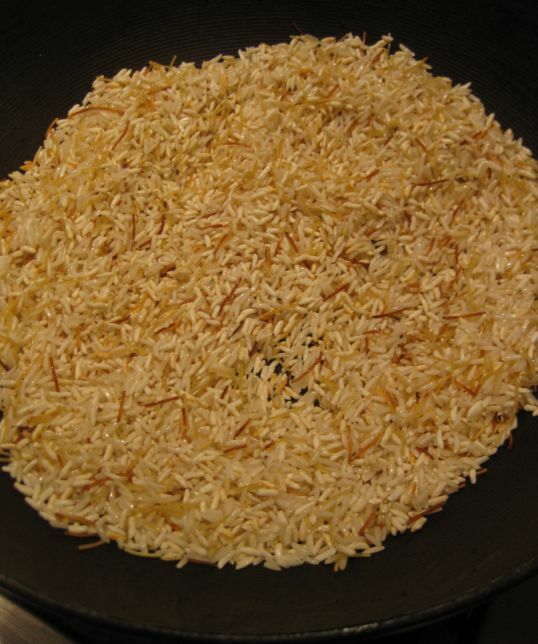 Rice-a-Roni is a combination of rice an thin pasta. You can buy Rice a-Roni in any supermarket but tonight I am making it from scratch. 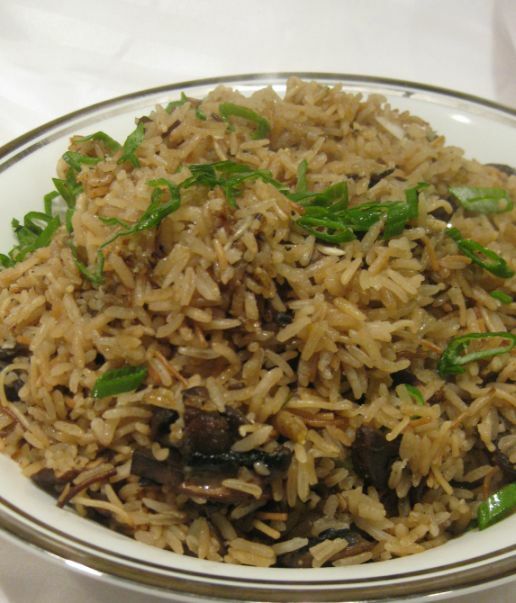 It is actually very easy to make and I like the combination of rice and pasta because it is more interesting than just rice alone. 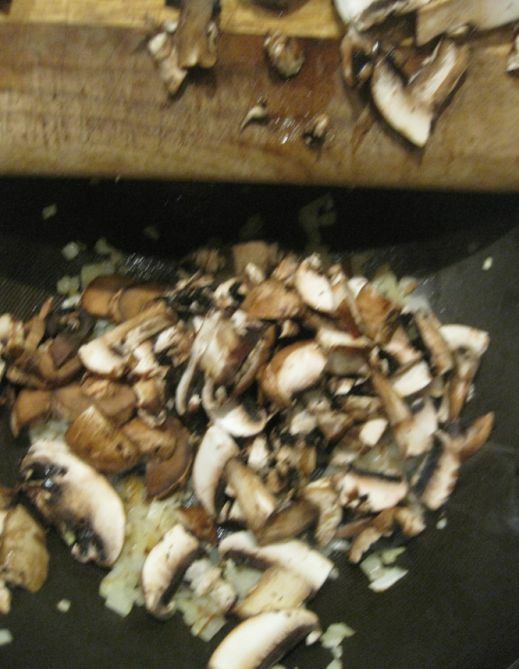 I added mushrooms because I just happened to have some in the fridge but it is optional. Rice a-Roni is a step up from regular rice. It has more flavors and it goes well with any meat. 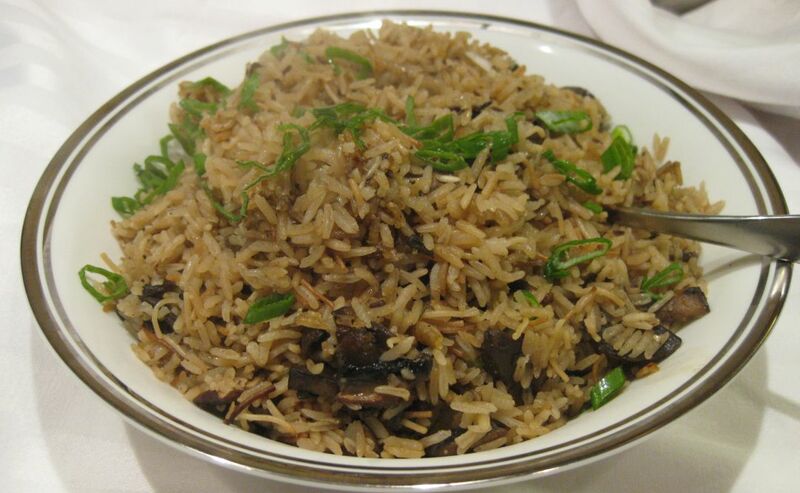 Here I am serving the Rice a-Roni with Poulet en Demi-Deuil (Truffled Chicken). ...and they have released their juices. Set them aside. 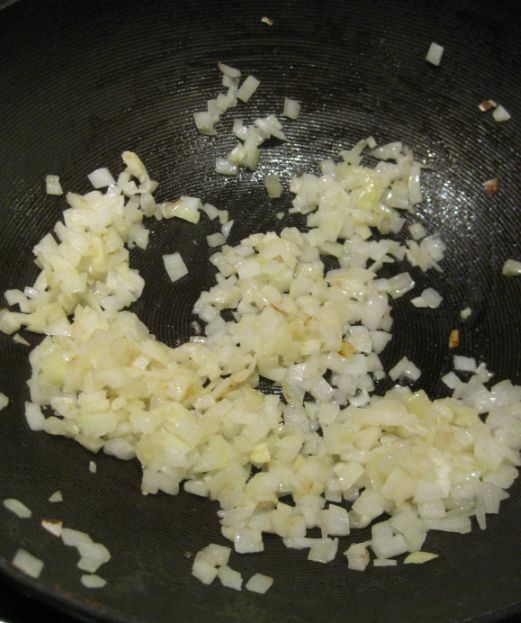 Next, using the same pan, add some oil and butter and sauté the rice and pasta until golden . 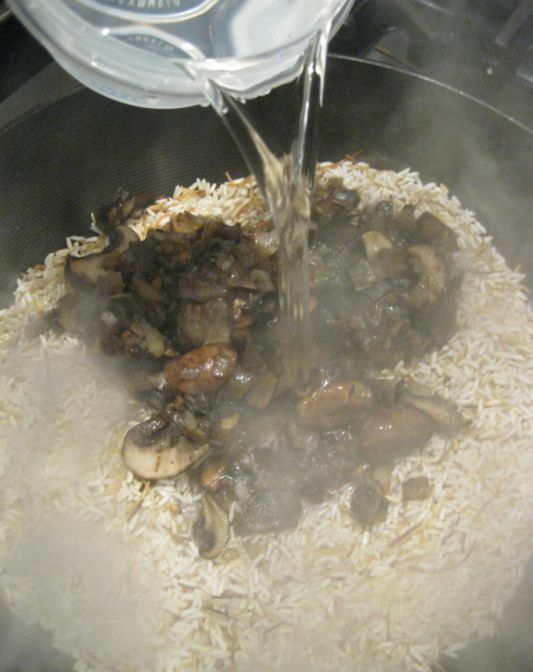 Add chicken stock to the rice, or water is you do not have chicken broth. 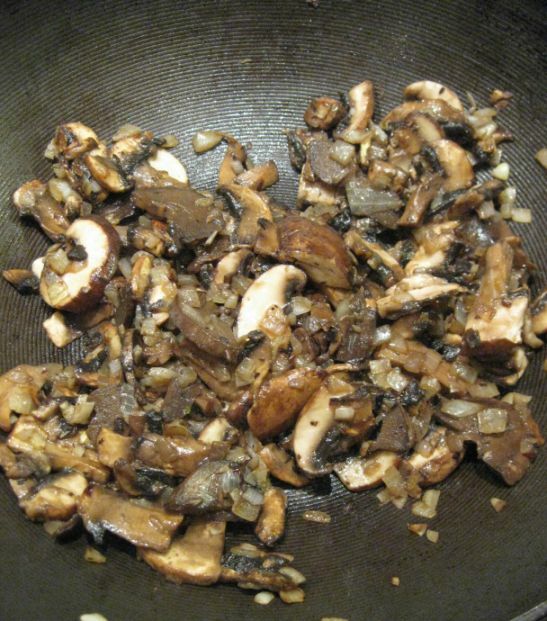 Add the mushroom back to the pan. 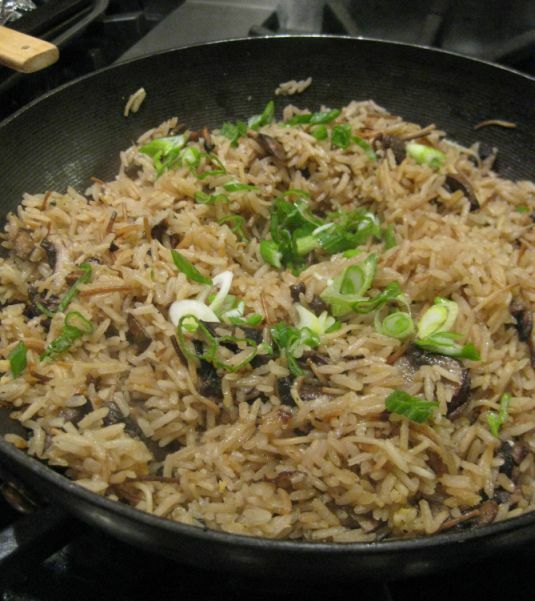 Turn down the heat to low, cover the pan and let it simmer for about 15 to 20 minutes or until the rice is cooked. 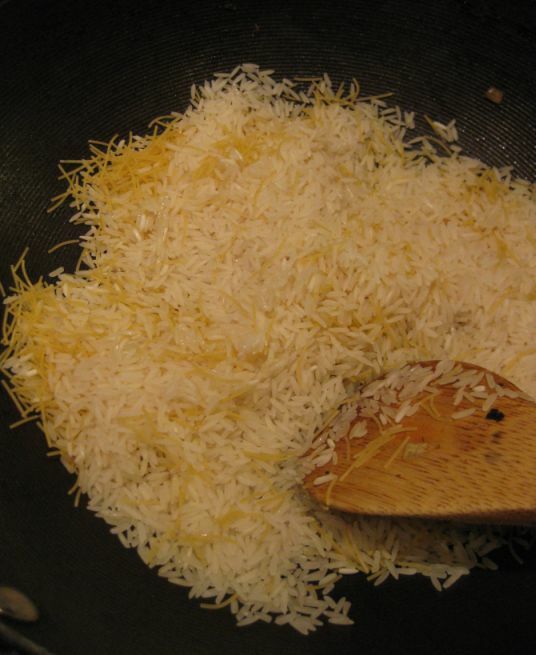 Once the rice is cooked and a teaspoon of butter and let it melt into the rice. 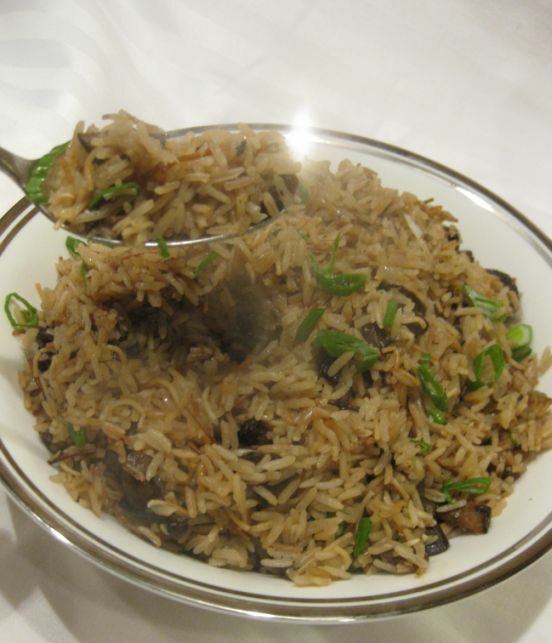 Sprinkle a few cut green onion on top of the rice and it is ready to be served..